So after another 2 days of lazying I finally get back to the mood! 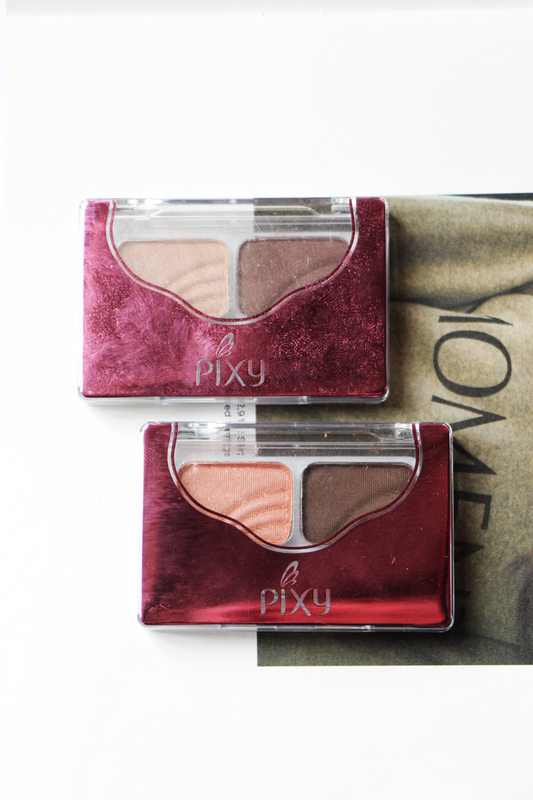 And today I'm gonna do a review of Eyeshadows from Pixy. I feel like I'm kinda late to jump into the Pixy bandwagon since they're actually quite a big brand but I just don't feel like it. I guess better late than never, aight? They come in a tranparent container with pink foil on top as garnish. The pink is quite okay, not a big fan of the color though. They also got an applicator with longer handle. I love that it doesn't have a dual ended sponge because it's such a hassle when both ends are dirty. I will most likely end up with fingers covered in eyeshadow if such thing happen. Plus one to Pixy to help me avoid that tragedy. They have 2 colors on each series and I believe they have around 6 color combination to choose from. I just pick out the ones with neutral color so I can wear it more often. One thing I notice with their shadows is that the lighter colors are more frosty-shimmery finish and the darker colors are more into matte side, although there are some subtle glitter chunks were scatered here and there. As for the pigmentation, they are okay. 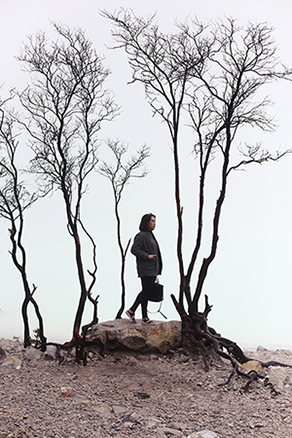 They show up quite well as you can see in the swatches, but the texture is a bit hard and it needs a few swipe to get the full opacity. 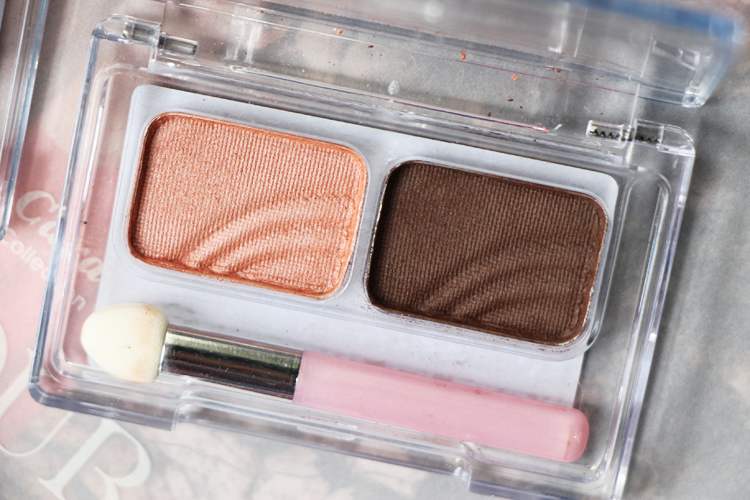 I notice it blends away better when applied using fingers, which is a way I don't prefer when I'm applying my eyeshadow. When I use brush to apply, it's kinda hard to get a nice opaque and blended color as it likes to go patchy. It can get nice eventually with a lot of patience and effort. Again, not something I prefer for my daily makeup, I need something quick! It lasts maybe for about 4-5 hours on its own before it starts to fade. By the end of the day I usually left with uneven and creasing eyeshadows. Nothing new for daily use local makeup, I can easily use my MAC Soft Ochre Paint Pot to make it lasts longer and stay on better. A very warm everyday neutral color. 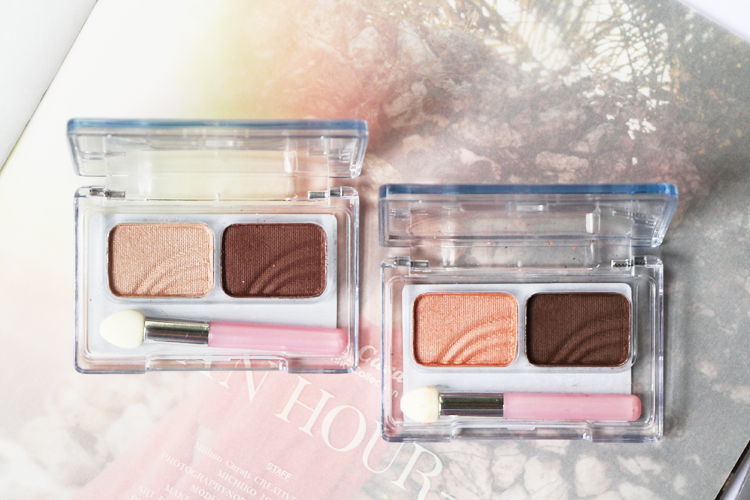 The light shimmery peach is pretty on its own but not my favourite to put on my eyes, while the deep taupe-ish brown looks so perfect as my everyday definer color. 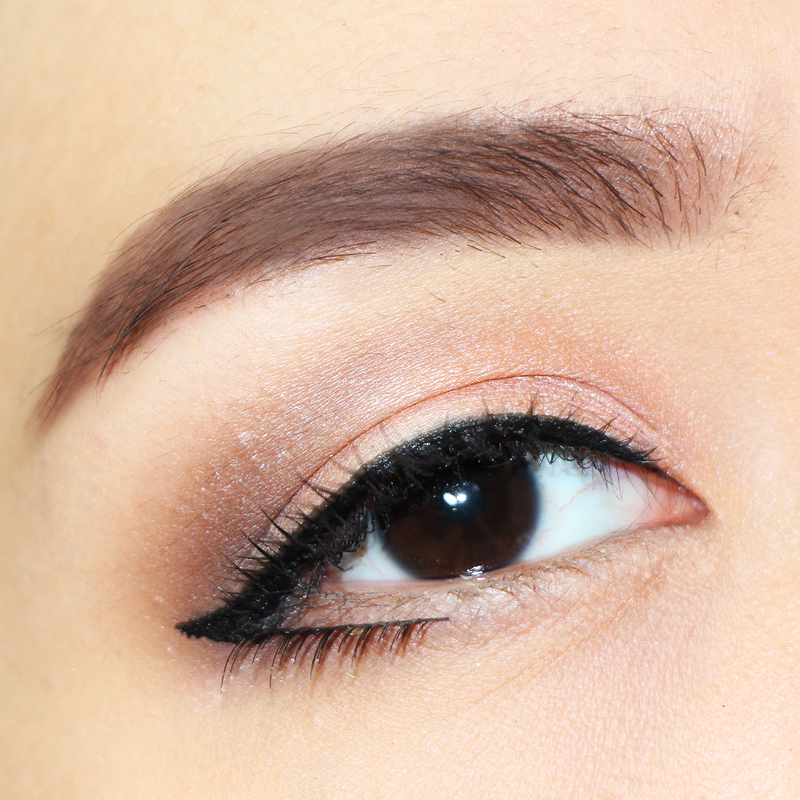 *I accidentally upload the biggest pict I have on the Sorrel Brown eye look, if you click the picture you can see everything. My foundation-covered lower lashes, my stray brow hair, the eyelash glue, EVERYTHING! 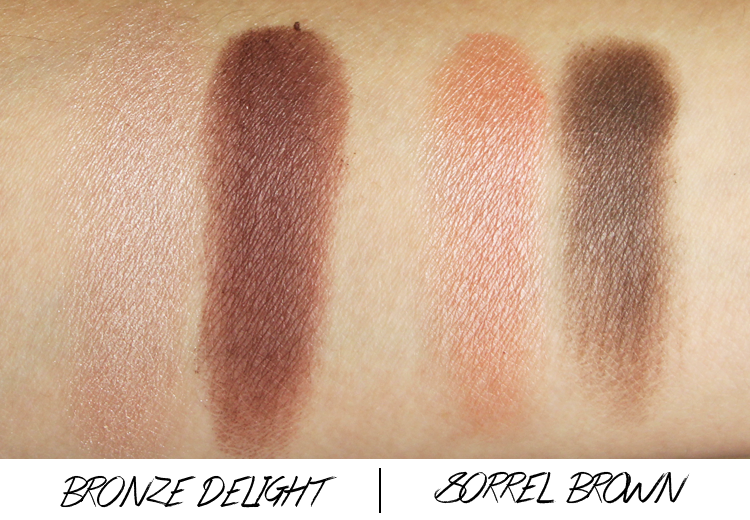 As for the color, I just wish they have the light shimmery beige color from the Bronze Delight with the dark color from Sorrel Brown, I will definitely wear that combo out like nothing else. 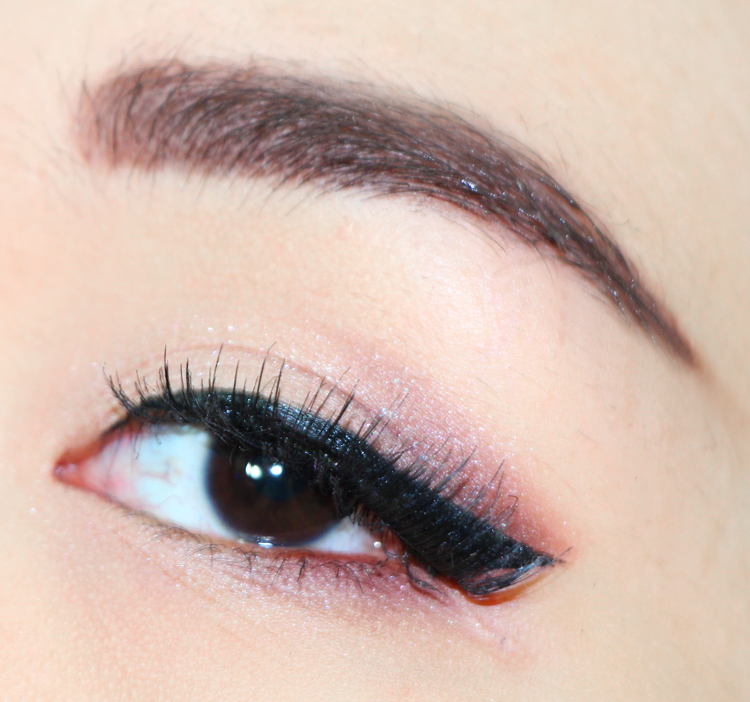 Overall, it's an okay eyeshadow for me. Nothing over the top and something that would get replaced easily if I found something slightly better. The only thing I really like is how they only have 2 colors on them, which means I don't have to think about which color to use since they only have colors, like, two. 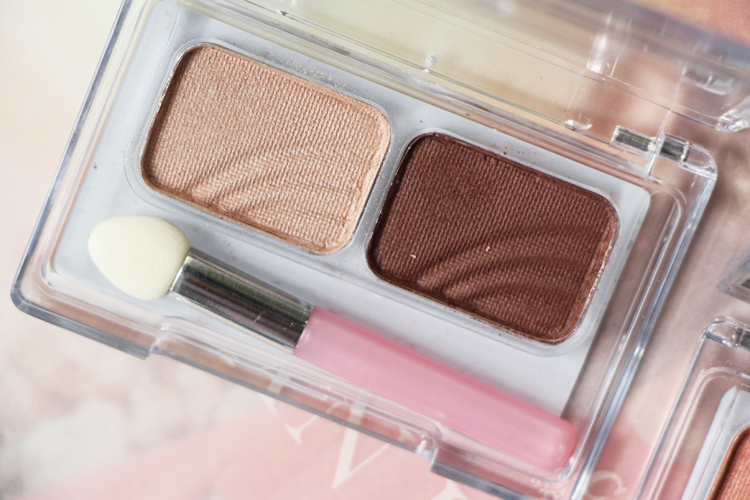 And it's very compact so I can bring it easily on my makeup pouch. You can find this product almost anywhere, they really well distributed which is also a thing I like because I don't have to hunt them around. I bought mine at Hypermart Puri Indah for IDR 31.000. Pretty affordable, huh? 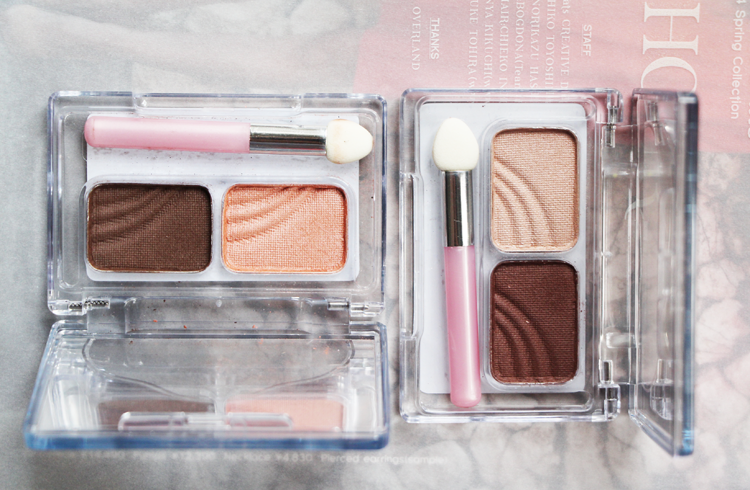 Have you ever tried this Pixy Eyeshadows? Do you like it? Kalo pake base dulu mungkin lebih keliatan dien warnanyaa.. hihii..
Maniiss dia warnanyaaa peach2 gituu hihii..